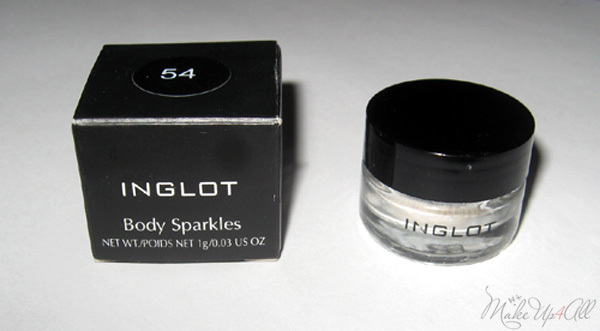 I’ve wanted to try Inglot’s Body Sparkles for quite a long time but I couldn’t figure out which shade to get but finally I made up my mind and got the #54. I couldn’t make up my mind because they all are so SO gorgeous. 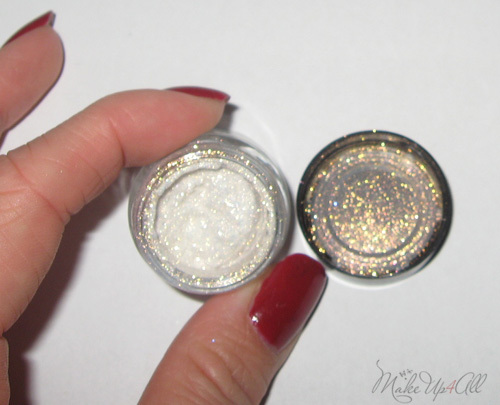 Most of them have a very subtle iridescent shimmer but some contain fine glitter. In the jars they make look very similar (although they are not on the website) but they give you a different frosty shade. I was kind of torn apart but finally got the one with warm toned, golden peach shimmer. As these are body sparkles you can use them all over your body and I personally like using it on my eyes. It looks gorgeous used over a primer with a liner and mascara. 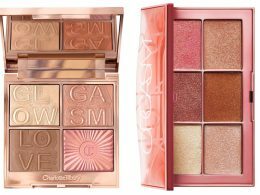 But you can also use it over the cream eye shadows for a pretty shimmery effect of press over the powder eye shadows for the dimensional look. And this is how it looks like inside. Besides the red eye liner, I have also picked up this gorgeous AMC Shine 37 eye shadow by Inglot. This shade instantly caught my attention and made me think of my favourite eye shadows ever, Rouge Bunny Rouge Bejewelled Skylark so I had to pick it up. Look how pretty it is in the sunshine! 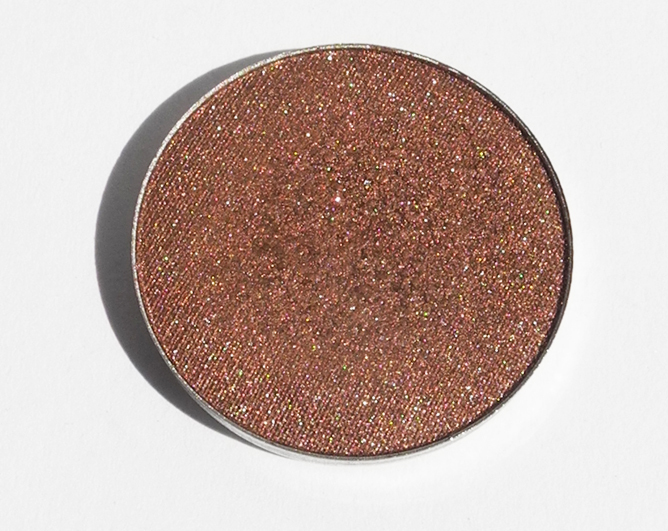 It is exactly the kind of shade that I love with a beautiful delicate shimmer, it looks stunning. 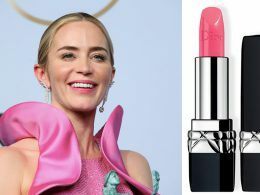 As for the quality, it is brilliant: the colour can be applied rather sheer or can be built up, it blends out beautifully, does not crease, fall out or smudge on me. It’s not a secret that I love Inglot, I think their products are a great combination of affordable price and brilliant quality. 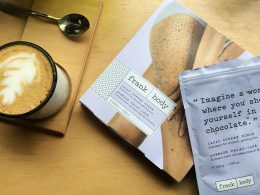 I have tried so many of their products and I can’t think of any that disappointed me! 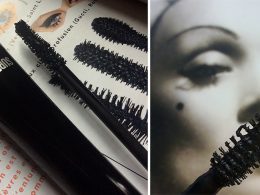 I thought I’d show you some of their latest launches that caught my attention. First of all, there are these new Sleeks Cream Lip Paints. Here is the promo photo. 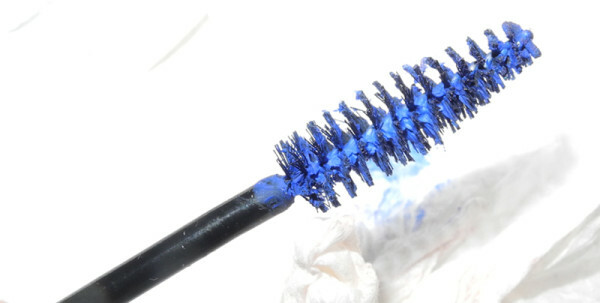 Here is how that bright blue looks like on a disposable and and it’s the exact colour that you get on your lashes. I think I will have to get it! There are also new blushes as a part of the Hawaiian Bar collection and the pigmentation in those blushes is to die for, so bright and colourful with only one swipe! 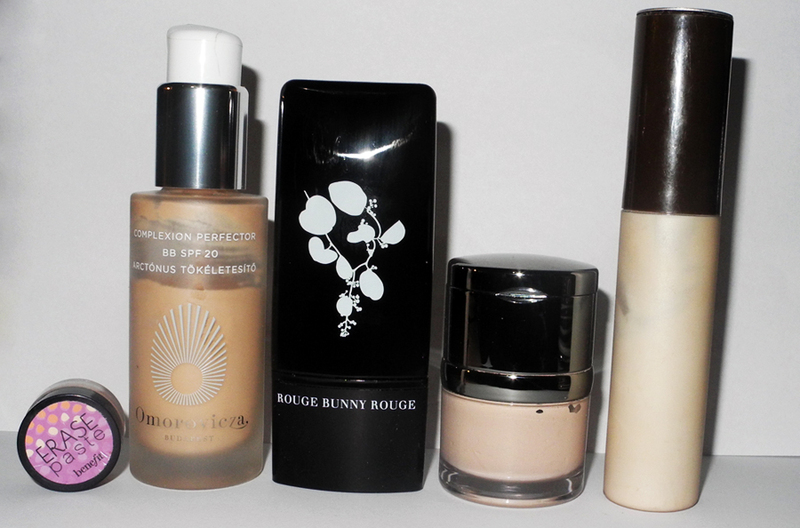 Before I start, I have to say that it was very hard to narrow my list of favourite makeup products of 2012 but I’ve tried my best. I don’t really use concealer on a daily basis, unless I have a new, really bad spot, I just use Touche Eclat under my eyes and that’s all. But if I had to choose my favourite “concealer” type of product – that would be this one. It is a creamy peach corrector which works great for the dark under eyes circles. I had a review of it but because of some tech problems, it was deleted, need to re-write it soon. One of my favourite face products you can read the details why here. If you can afford it, I would definitely recommend. This gives a very natural finish and light coverage and you can’t see it on the face, at all! Miracle for dry skin in cold weather, as it doesn’t enhance any dry patches. See all the shade available here. It is a very nice foundation that gives a dewy finish so works great for my dry skin. The shade Porcelain is a great fit for fair skin and works for me in AW, in SS, I use the second lightest shade – Beige. 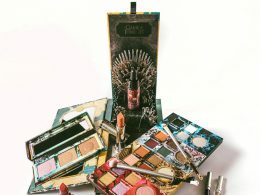 Plus it comes with concealer which is a great deal for the price. Want to know more? This product probably doesn’t even need an introduction. It’s the best highlighter out there, it gives a very natural and beautiful effect. 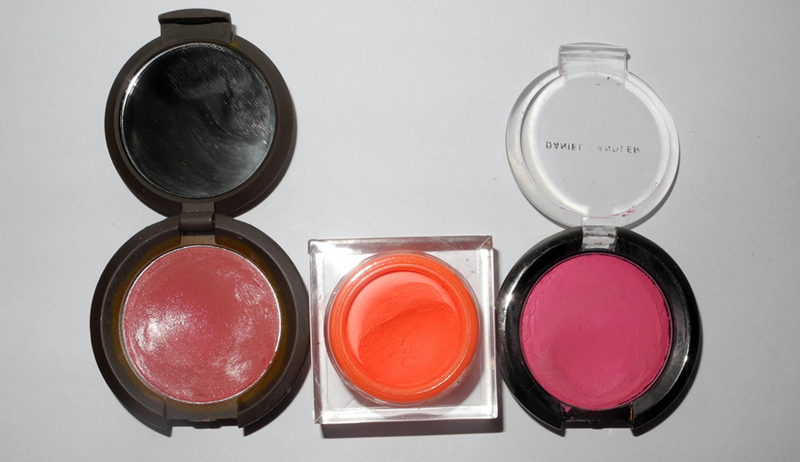 Wow, I was able to choose only three blushers, although I was very tempted to add more of them. Long-time readers know how much I love my blushers. And this year it was all about this one, I’ve barely used anything else. 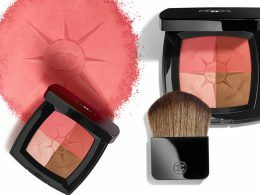 Creme Puff Blush gives that luminous glow that instantly brightens up the complexion. 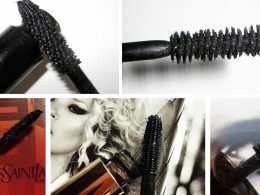 The formula is incredibly soft and smooth and blends into the skin beautifully. I have several shades but Alluring Rose is the love of my [beauty] love. 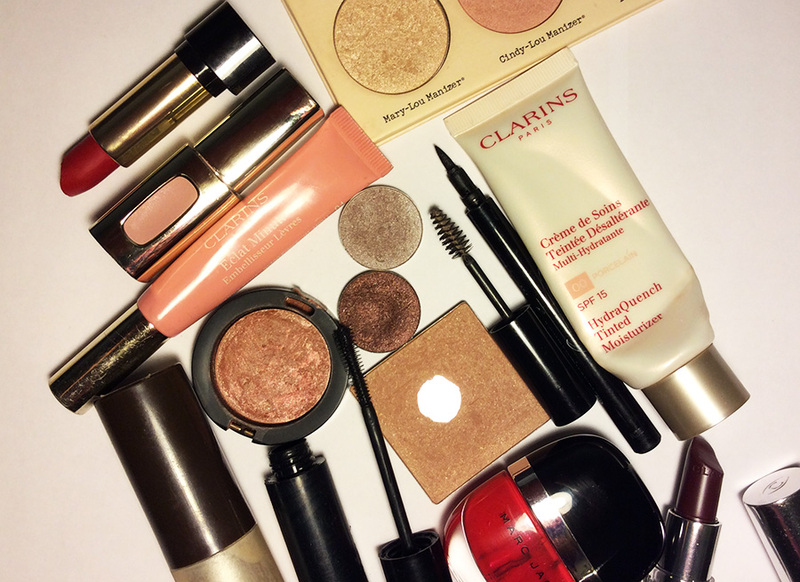 The other favourite is still my Trish McEvoy Golden Bronzer (review). As you can see from the photo above, it is very well loved. 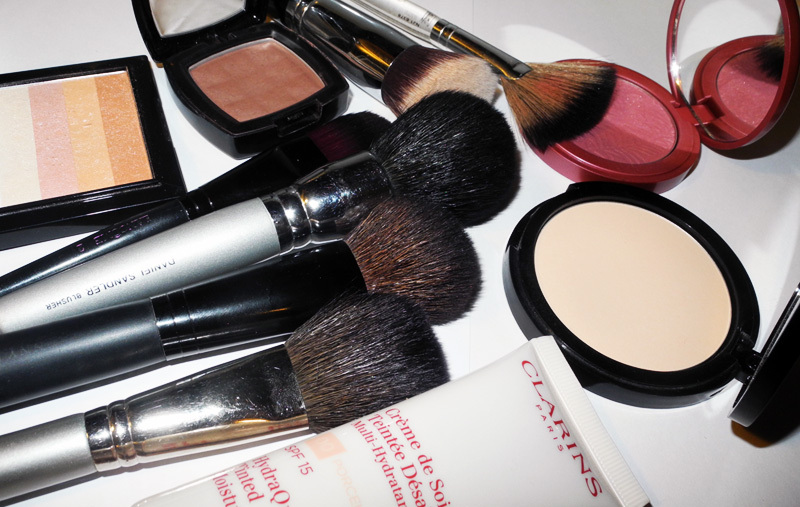 It warms up the complexion without looking orange or muddy. I like the hint of radiance it gives, too. BECCA’s Shimmering Skin Perfector in Pearl (review) is still the best glow-and-radiance-in-a-bottle product out there. I usually mix it with foundation to make my skin look “healthy”. This formula and shade = perfection.